For Neda’s family, immigrants from Afghanistan, their time in Canada has been filled with a series of blessings and challenges. The parents and their three children, ages 2 to 15 years old, have lived in New Westminster for five years. Neda, the youngest child, has Mucolipidosis Type ll, a rare genetic disorder. 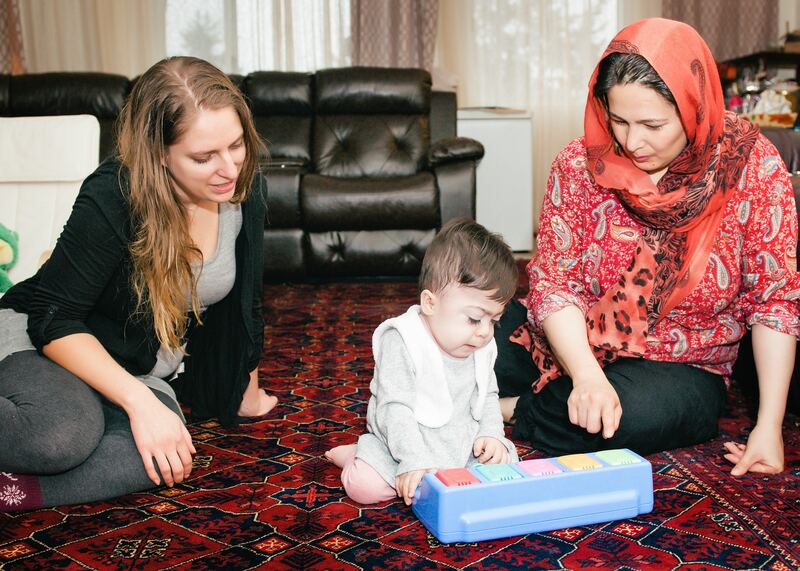 Shortly after Neda was born, her parents reached out to Kinsight for support and began working with Callie, an Infant Development Program (IDP) Consultant. Callie visits the family in their home about once a month, where she often joins in on playtime and other daily activities. By engaging with the family, she is able to better understand their unique requirements and support them in their goals for Neda and the rest of the family. The program has been great assistance to our family, Neda’s mom says. Callie has helped the family identify and connect with community resources, services and supports, including health care professionals. IDP consultants also provide referrals to families who continue to require support as their child moves from infant to toddler. “I hope other families know they are not alone, and that organizations like ours are here to help,” Callie adds.